Why Do Mice Run Rampant in Rentals? Pest control can be an ongoing problem for landlords. 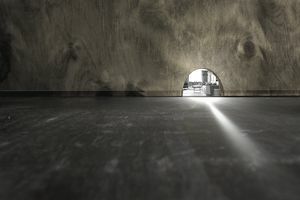 Mice might be small creatures, but they can make it make it much harder to find and keep tenants if they've made their home on your property. Getting rid of them begins with understanding why they chose your property in the first place. You might be able to catch a small problem before it becomes a huge one if you recognize the signs of mice and understand what draws them. Mice can unnerve tenants, but they can also damage your property. They can chew through walls and plastic water pipes, and this can cause leaks. Their urine can damage floors and ceilings. Mice can also spread several diseases which could threaten the health of your tenants, including hantavirus, salmonellosis, and even the bubonic plague. Then there are more subtle damages. Tenants pay rent. In exchange for this rent, they expect to live in a safe, clean property. Your tenant might assume that you don't care about property maintenance and that her health and safety is not a priority for you if you have a bug or rodent problem that's gone unchecked. Tenants who feel that you don't care will be less concerned about taking care of the property and they'll be less likely to renew their leases. But moreover, you're legally required in virtually every state to stay on top of this kind of situation and deliver premises to your tenants that's pest- and rodent-free. Mice are common in all areas of the country, and they're versatile about their living arrangements. They enjoy the suburbs just as much as they do cities, so no area is immune from them. And the larger your property, the more places mice have to hide. This is particularly the case with apartment buildings, where they can easily migrate from one unit to another, moving on just when you think you've caught up with them. Mice have flexible skeletal systems and they can fit through crevices, cracks, and holes as small as ¼ of an inch. This can make it very difficult to make your property 100% mouse-proof. They can hide in walls, beneath cabinets, in basements, or in attics. All this can make it particularly hard to catch them, especially when you have tenants in the property whose lifestyles you have to navigate around. Mice breed very quickly. A female mouse can have between five and ten litters a year, and each litter can produce between three and fourteen mice. You can see how this problem can quickly get out of control. A tenant might not even be aware that there's a mouse problem—at least for a while—if he doesn't know the signs of an infestation. These creatures tend to only come out at night, so unless your tenant is a night owl, he might be oblivious. Common signs include small tears in bags of food or a couple of small mouse pellets in a corner. Educating your tenants on the signs of mice can help you catch a problem at your property—and they might even appreciate joining the effort to get rid of them. Garbage that is not properly disposed of, or that's located too close to a home, can attract mice to a property. Consider dedicating a distant corner of the location to trash cans and ask your tenants to make sure the cans stay there. Your first line of defense should be to thoroughly investigate the premises for any hidden—and maybe not-so-hidden—holes and other locations of potential access. Seal them up. Silicone and steel wool work well. Peppermint oil has also proved to be effective in thwarting entry, although it might not help much if rodents have already taken up residence. You'll want to avoid vacuuming up any mouse droppings because this can release into the air any disease they might be carrying. Sweep up any droppings instead to help prevent potential disease from going airborne. Now you're left to deal with those who have already entered and made themselves at home. You have three basic options: hire an exterminator, set out mouse traps, or use rat poison. Poison is usually an option of last resort because it can be potentially fatal to other animals, such as pets, that might come in contact with it. It can even be dangerous for small children. Mouse traps have worked for centuries, but if you want a more significant comfort level, you might want to consider hiring an exterminator. Yes, this is the most expensive route, but it's also the easiest and the most sure proof. You might also want to think twice about not allowing your tenants to keep pets...specifically cats.